This year’s Kerrygold Ballymaloe Literary Festival of Food and Wine on May 15th – 17th follows the outstanding success of LitFest 2014 which attracted over 40 renowned food writers, chefs and wine specialists and over 10,000 food enthusiasts to Ballymaloe Cookery School and Ballymaloe House in East Cork last May. 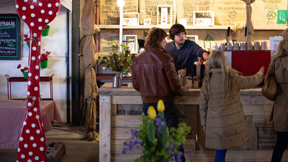 The brainchild of Ireland’s best-known cook and cookery writer Darina Allen, the Kerrygold Ballymaloe Literary Festival of Food and Wine 2015 expects to break all records as the biggest gathering of its kind ever held in Ireland. Anyone with an interest in food and drink! As with any food festival there are cookery demonstrations, tastings, talks, readings, debates, literary lunches, dinners and afternoon teas all featuring in an astonishingly diverse programme – a melting pot of cookery writers and chefs, food bloggers and food broadcasters, restaurateurs and raconteurs, wine writers and winemakers. Brewers, bakers, and candlestick makers. Delicious things to eat and drink, great books to read, songs to be sung, toes to be tapped and tunes to be hummed. A family area which is a buzzing hive of activity. Entry into the festival this year is €5 per person per day. Children under 12 go free. This will include access to The Big Shed and the fringe programme. Anyone who has purchased tickets to any event has free entry. You will be able to pick up your festival entry pass at the Welcome Area on the weekend. To celebrate food and drink! To celebrate the Kerrygold Ballymaloe Literary Festival of Food & Wine, Ireland’s beloved butter brand, Kerrygold have launched their #NuggetsofGold campaign which runs until Tuesday 19th May. 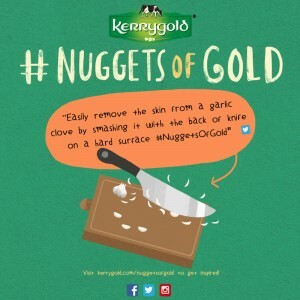 Kerrygold is inviting food lovers to share their #NuggetsofGold – a cooking tip, skill or recipe that have been passed on to them through the generations by family and friends. Each entrant is in with a chance to win a cookery class & stay at Ballymaloe and lots of other Kerrygold goodies! 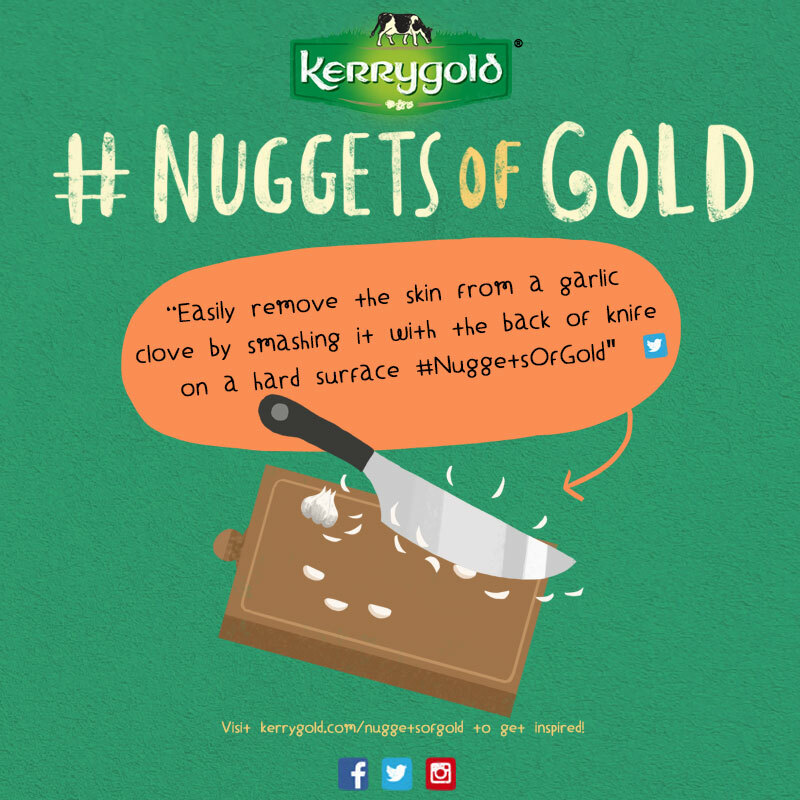 To enter simply share a cooking tip, skill or recipe using #NuggetsOfGold on Facebook, Twitter or Instagram and tag @KerrygoldIrl.